This week I'm moving on to the next year of Certified. Last week it was 10//11 Certified and this time it's the 11/12 version. I liked the inaugural year of Certified the best, but this is still a solid product to open. These blasters are guaranteed a hit so that's always a good thing! 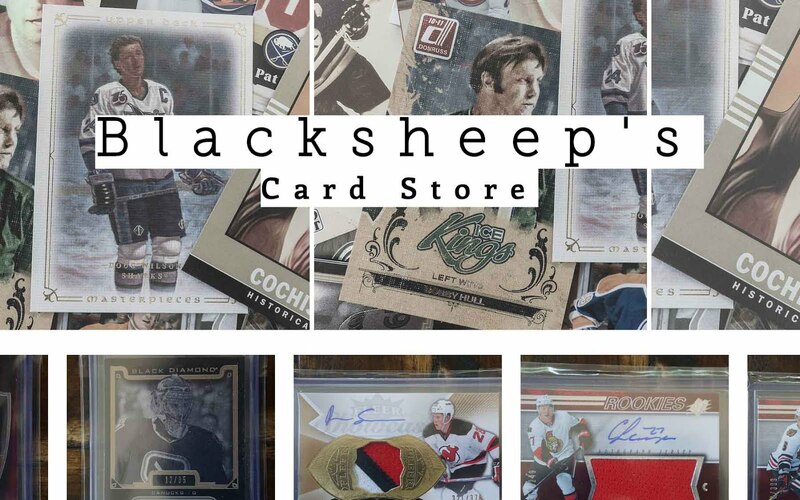 It's been really fun opening up these Panini products in Retail Review. 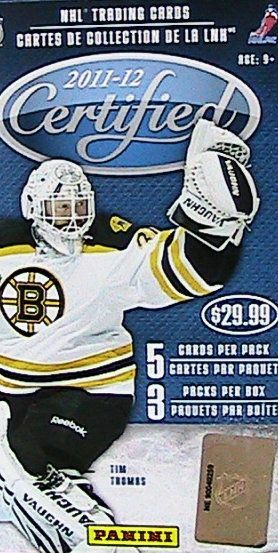 When Panini and Upper Deck made cards, I always preferred UD, but now that Panini is gone, I can see the value in what they did. Panini really pushed the envelope and actually made UD improve their game. 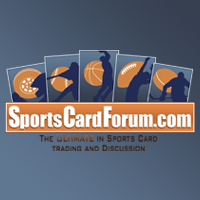 Since Panini has left the fold, UD seems to have settled a bit with their card innovations. As always, I'm looking for autographs when I purchase these blasters. Well... either an auto or a nice patch. The most common thing to find is obviously the plain jersey, but the great thing with these blasters is that autographs and patch cards do come out frequently. Three thin packs means one of two things. One, the blaster has an autograph card in it... or two, the blaster is missing a hit. 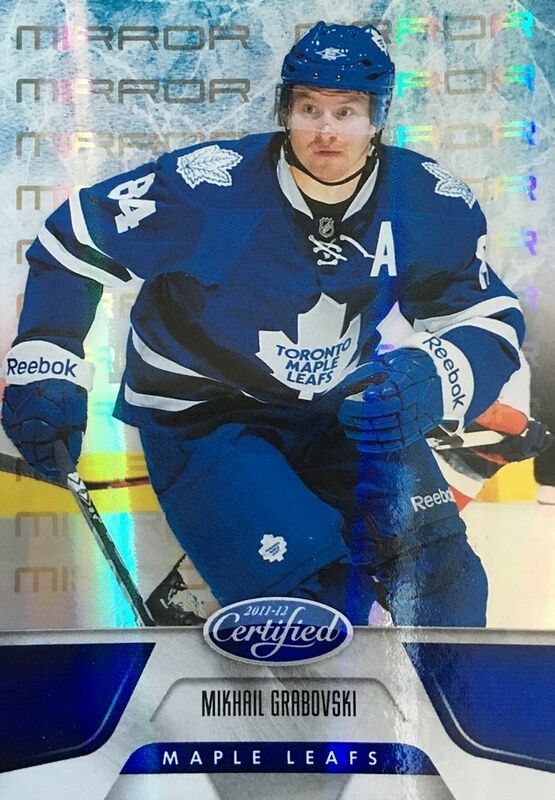 Because I checked to see if the Panini seal was on it (and it was), I was pretty sure the hit would be an autograph. Busting through this box was very quick and fast. Out of the three packs one had a hit, the other a parallel, and the third was all base. It's a pretty standard formula for Certified, I think. If anything, Panini was consistent with their collation! I was surprised at the lack of bigger named players in this blaster. 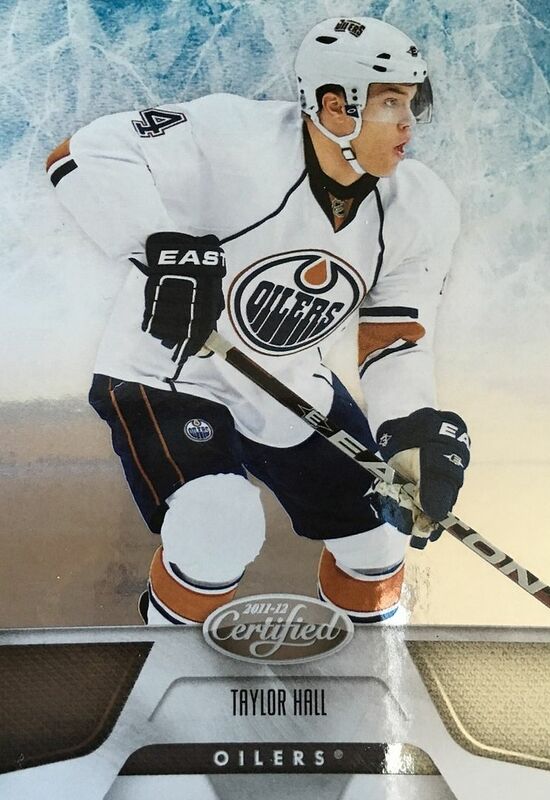 I chose Taylor Hall as my third best card as he was the hottest rookie the year before, and it was still cool to pull his second year card early in the then young 11/12 season. Mirror Blue parallels are more rare than their Red counterparts. The Blues are numbered to just 99. The cards have a nice shiny look to them. 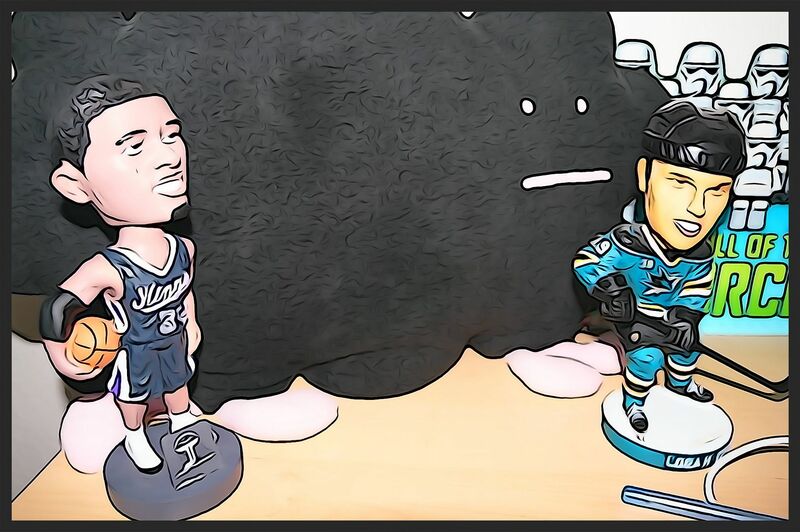 I just wish I got a player that I like more. Oh well! I definitely hit some gold here! This Cammalleri gold auto is numbered to just 25. This is the type of card you would more expect to find at the hobby level, but being available here in a blaster is very cool. I've opened up a lot of retail Certified blasters and I keep going back to the well to get some more. It's a strong product that has help up quite well. I am very impressed with the pricing on these blasters, and I think they are an absolute steal. Get them while you can! Nice to see you pull a solid hit - a relatively low numbered auto is a great pull. i loved it you got some really nice cards out of the blaster box. 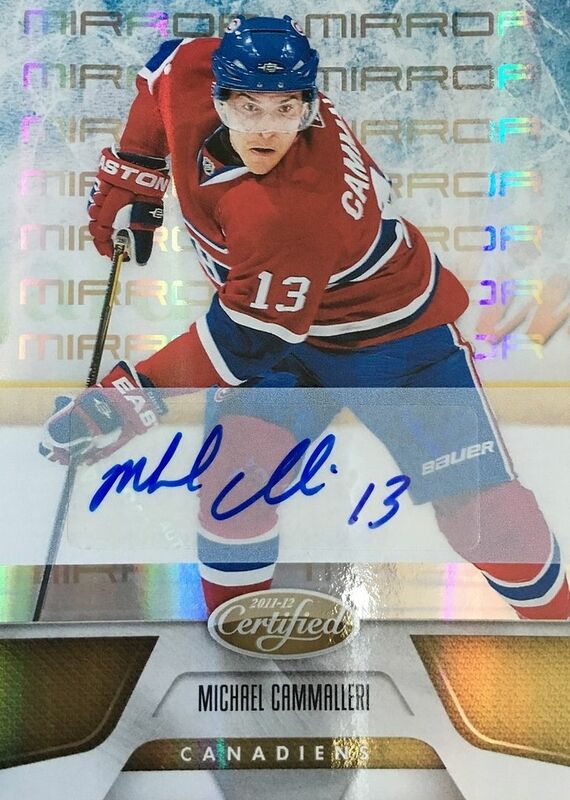 and the michael cammalleri gold autograph is a $15 to $20 card. sweat pulls. excellent. one my assignment help australia of the best articles I have every read. This is the information which I have been searching. Great information I will tweet to my friends to get them to check it out. keep it up. Thanks for sharing!